*Rare Find!! Home Sitting on HUGE LOT! * Explore all the possibilities that you can achieve on this gigantic lot! At 14,109 SQFT, the city+GGs Planning Dept. confirmed that you can build an Accessory Dwelling Unit (GUEST HOUSE) with a max of 850 SQFT as long as you (the owner) live on the property! That+GGs potential rental income of approx. $1,100-$1,195 based on comps if you build a guest house & rent it out! The existing home has new laminate flooring at the entry & high ceiling in the formal living room. The interior has been painted & the bedrooms boast new laminate flooring. Separate family room w/fireplace offers the perfect place to relax & lounge w/loved ones. The kitchen w/granite counter tops & lots of natural light waits for you to prepare your family+GGs favorite meals. One bedroom & full bath downstairs. Upstairs the master bedroom has its own private bath & 2 additional bedrooms. Huge backyard is an entertainer+GGs dream w/covered patio & ceiling fans. With more than enough room to build what your imagination desires, you don+GGt want to miss this once in a lifetime opportunity to buy this home sitting on an enormous lot! The family room, kitchen & upstairs bedrooms offer views of this impressive back yard. 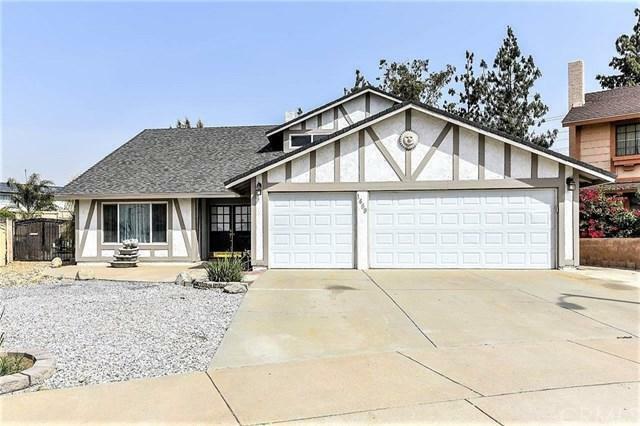 Property sits on an excellent location w/easy access to the 10/15 fwys & a short drive away to shopping & entertainment at the Ontario Mills & Victoria Gardens malls. Square footage not taped, buyer to verify. Buyer to verify permitted land use w/the City of Ontario. Sold by Alejandra Matthes of Re/Max Masters Realty. Listing provided courtesy of Lina Chu of Re/Max Champions and Dennis Lo of Gainspot Inc.